Can Technology Speak the Language of Love? In today’s society, technology plays an important role in facilitating and expressing love. More and more, people find romance with the help of dating apps, experience relationships through the lens of social media, and plan occasions like weddings and anniversaries almost exclusively online. 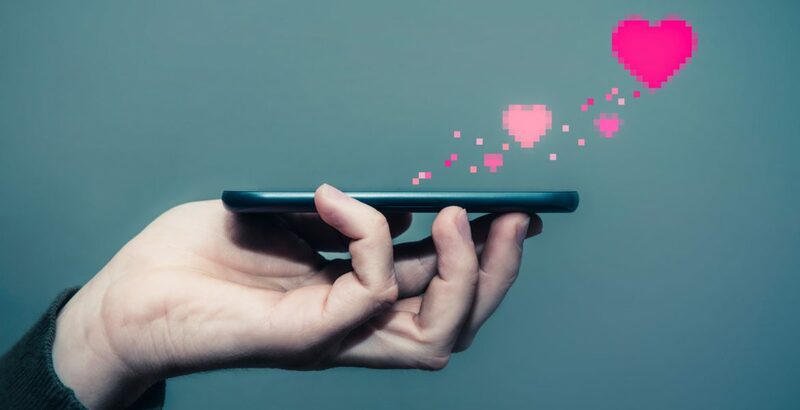 Similarly, today’s companies can use technology to increase brand love by enhancing the relevance, efficiency, and excitement of every personalized customer engagement. By now, most marketers recognize this. What may be missing from their tool kit, however, is a way to articulate those benefits to both businesses and the consumer—a convenient lexicon that drives home the value of the technology and makes the connection between all of digital’s cool capabilities and the emotional responses they are intended to create. Brand relationships mirror human relationships in their need for affirmation. It is a two-way street: Consumers want to believe that their brand choices are the right ones, and marketers need to know if consumers are embracing the products and messages they are putting out. Technology can help facilitate this process. For example, a variety of AI-powered CRM tools create tailored, personalized campaigns based on an individual customer’s characteristics and preferences, and social influencers may be used to push these messages further. But that’s not enough. Marketers must then gauge the real impact of their campaigns by deploying any number of social CRM and Internet monitoring platforms to gain audience insights and listen to that language of love about their brands. Physical touch is a critical component of every shopping experience. Many retailers are turning to new visualization tools including virtual reality and augmented reality in order to expand the boundaries of physical touch and remain relevant in the age of e-commerce. Macy’s shoppers can design their own rooms with a VR headset, while Lowes uses virtual reality to take customers through the steps of a simulated home repair. Amazon, meanwhile, is creating a mobile app that would allow customers to “try on” clothes in a virtual fitting room, using personal data including social media posts and photos in an algorithm that churns out various possible style combinations. The winners in this emerging technology space will be those who add real value to, or otherwise enhance, the shopping experience. Quality time is essential in any customer relationship. Achieving the right balance between live human interaction and interfacing technologies like mobile apps and chatbots will enable companies to maximize the value of a person’s time and nurture the relationship. Conversational marketing platforms allow marketers to connect with site visitors in real time to convert leads and close sales, while managing repetitive tasks like e-mail replies. According to research from Salesforce, consumers perceive chatbots as most effective in getting quick answers to simple questions and receiving 24-hour service, whereas apps are more likely to be used as tools of convenience and for ease of communication. Acts of service are must-haves for today’s consumers, and marketing technology can make donations easy to make and to trace. For example, Donorbox powers more than 10,000 nonprofits and religious organizations. The technology enables users to make one-time donations, scheduled periodic donations, or some combination thereof via Apple Pay, Google Pay, PayPal, or ACH bank payments. Competing firms provide similar capabilities and help facilitate company donations/gift matching. For any company, leveraging today’s Martech technologies can achieve cost savings by identifying and targeting their most valuable customers based on an analysis of transactional data. Over the long term, it allows marketers to understand the native love language of their customers, speak fluently and eloquently in that unique vernacular to attract, and then court and solidify a lasting love connection with that ever-fickle consumer for years to come. Jaime Laufer is the Director of People Operations at Digital Surgeons; a global innovation and experience design company that accelerates business growth through experience design, creative marketing, and digital business model innovation.